Community is important to us. We have been giving back for as long as we've been open, and we are committed to continuing to support our community partners through events, donations and fund raising. 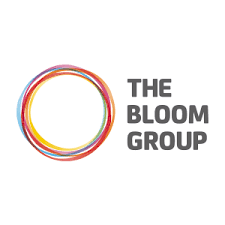 Did you know that last we raised $29,000 for the Bloom Group with our 'Shred for the Cause' evening? Incorporated in 1996, Vancouver Adaptive Snow Sports (VASS) is a registered non-profit society offering skiing and snowboarding activities to persons with all disabilities across Lower Mainland. VASS students are of all ages and a variety of disabilities including amputee, cerebral palsy, brain injury, mentally challenged paraplegics, quadriplegics, muscular sclerosis, or visually impaired. To meet the needs of its members, VASS offers nine different programs, available at Mount Seymour, from the beginner to the advanced levels. The First Nations Snowboard Team (FNST) is the only organization of its kind operated entirely by First Nation snowboarders. Their mission is "To improve the quality of life and empower Aboriginal youth across Canada by using the winter sport of snowboarding as a fundamental tool for excellence". We help young people discover their potential. From prevention to helping kids on the margins, our dedicated staff and relevant programming offer connection and transformation fostering mental, physical, social, spiritual and emotional well-being among young people in our community. SUPA Society was established in 2012 by Dennis Nerpio and Rip Curl Canada, originally as an event called Surf’s Up. The premise was to offer a unique experience for children and families who face the ongoing challenges of living with Autism. The Canadian Ski Patrol (CSP) is a National Organization that provides safety and rescue services to ski areas across Canada. A volunteer driven organization, the CSP actively recruits and trains thousands of ski patrollers who provide beneficial services at ski areas throughout Canada. The Mount Seymour Ski Club is the club to join! The Club was established in 1936 to share and enjoy the mountains and snow sports offered on Mount Seymour. The Club has been in continuous operation since then, making it the second oldest ski club in British Columbia. The Mount Seymour Ski Club is a non-profit organization run by members for the members. Come be a part of the Mount Seymour community.